Many of us love competition and, more important, winning. Competition drives us toward our goals and motivates us to improve our performance, while the prestige and power that come from winning can provide a powerful morale booster. What’s more, winning increases testosterone and dopamine hormones, which, in turn, increases our confidence and willingness to take risks, and thus our chances of further success. At the same time, the need to win can blind us to ethical considerations. It’s a potential problem in all kinds of areas: colleagues who have a strong rivalry at work, managers who need to make their numbers for the quarter, even political parties that spend campaign funds to attract votes. A common theme in these situations is that there are only a few winning slots — and maybe just one — with massive stakes in terms of money, advancement, and fame. What’s often driving this fierce competition is the knowledge that our performance is being assessed not in absolute terms but in comparison with others’. In the workplace, such “rank-and-yank” methods — also known as the vitality curve, forced rankings, and stacking systems — are regularly used to judge performance, whereby, say, the top 20% of employees are categorized as high performers and the bottom 10% face redundancy. Similarly, the bell-curve grading in an MBA classroom ensures that students are categorized and graded relative to peers, without considering their overall performance. In our research, recently published in the journal Human Resource Management, we found that performance evaluation schemes based on peer comparison can encourage unethical behavior. In one study, we asked 164 MBA students to read a hypothetical scenario (based on a true story) about an investment banker facing an ethical dilemma, and to estimate the likelihood that this banker would indulge in unethical behavior. The students were randomly assigned to three conditions for how the banker would be paid: a fixed salary with no bonus; a fixed salary with a bonus tied to the banker’s number of trades; and a fixed salary with a bonus tied to the banker’s performance relative to his peers. (For more details of this study and the ones below, see the sidebar “Our Studies.”) Our results showed that the students in the relative performance condition expected the banker to be more likely to behave in an unethical manner. In another study, we investigated people’s ethical behavior in self-reporting their performance. Using Amazon’s Mechanical Turk platform, we invited 160 participants of U.S. origin to participate in a 10-question IQ quiz. They were asked to self-verify their answers and report their scores to us. Again, participants were randomly assigned to one of three compensation groups: a fixed participation fee of 10 cents, irrespective of performance; a fixed fee with a bonus based on the number of correct answers they reported; and a fixed fee with a bonus for only the top scorers. The results surprised us. The groups didn’t differ much in performance, and most participants overreported their scores. But both the incidence and the magnitude of overreporting was highest in the third group, the one in which only top performers received a bonus. Notably, every single person in the group overreported their score. In short, the competitive pressure and the comparisons encouraged rule breaking. Organizations continue to experiment with and debate the pros and cons of comparison-based performance management systems. In recent years, for example, Yahoo endorsed them, while Microsoft abandoned them. One thing is clear, though: Relative comparisons are widespread and here to stay. Given that, what can be done to limit possible temptations of ethical breaches that accompany such competitive comparative settings? We propose a subtle and simple intervention we call consequential reflection: prompt individuals to reflect on the positive and negative consequences of their decisions. In another study of ours, participants who took a moment to think and write down such possible consequences were less willing to act unethically. Again on Mechanical Turk, we invited 184 participants of U.S. origin to participate in a decision-making scenario. Participants assumed the role of a university professor, close to tenure evaluation, who had a manuscript under review with a top journal. The data analysis for the manuscript had not provided desirable results, and as a result the professor was tempted to manipulate the data. Participants were asked how likely it was that they would manipulate the data, with some participants being prompted to consider the consequences. We found that those participants were significantly less likely to take unethical action. Why would this kind of prompt be effective? Research on the human mind tells us we run on autopilot much of the time. The pressures of our jobs mean we often don’t take time to pause and reflect. Therefore, our intuitive, habitual behaviors take over. In matters of ethics, this can lead to a self-centered, “me-first” attitude, focused on the immediate benefits for ourselves and ignoring the long-term consequences of ethical lapses. Conduct pre-mortems. Ask employees and teams to regularly stop and reflect before making crucial ethically charged decisions. Instead of diagnosing decisions after the fact, take the time to think about their positive and negative consequences early on. Organize ethics hackathons. On a regular basis, get team members together to share upcoming decisions. Let peers dissect them, play devil’s advocate, and raise possible issues with various stakeholders. Train for reflection. Encourage employees to embrace a reflective, mindful approach to decision making. Training sessions on mindfulness can be beneficial for helping employees to slow down and think critically. Make ethics part of culture. Include consequential reflection in values statements and culture guidelines in your organization. Reminders such as “Think first” and “Seek opinions” can be placed prominently in offices. We believe the strengths of our intervention are that it’s effective, cheap and easy to implement, and unlikely to provoke strong objections from people. 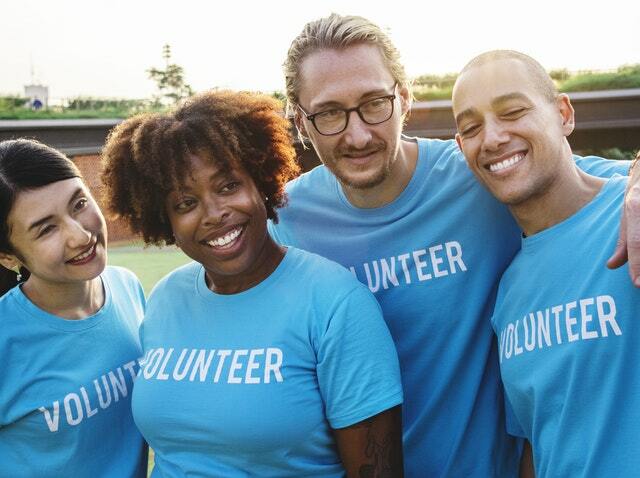 As our research shows, simple psychological interventions can be a valuable part of an organization’s tool kit for creating an ethical culture. How can HR encourage more female leaders? 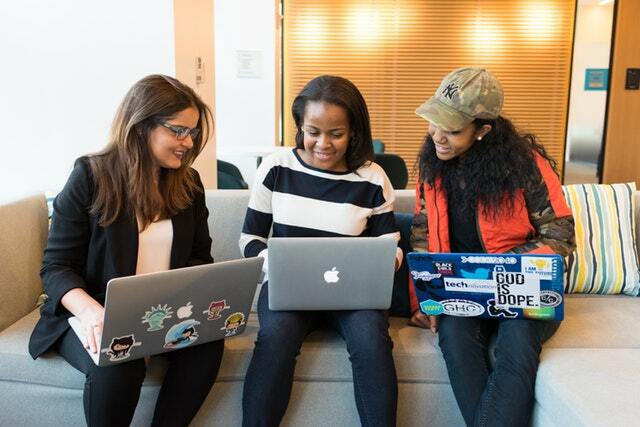 Society is evolving at a rapid pace, as organizations finally wake up to the profitability of having a more diverse workforce. And yet – we’re still far off from the equality-based leadership structure that we should have. Women, despite making up 50% of the workforce, comprise just 25% of leadership roles. And, from a management perspective, conscious inclusion should follow a certain path. Essentially, HR can facilitate the inclusion process and support it – but it’s the C-Suite that has to own it. Employers need to start ‘flipping the question’, according to Colleen. Instead of asking why they should do something, start asking why they shouldn’t. Succession planning is also an area ripe for huge development. Colleen told HRD Canada that employers need to be purposeful in their approach and ensure they have women on their succession plan. Look at what needs to be done to make sure female talent has the chance to even be included on that list of potential successors. One thing Colleen claims to be seeing more of are career waves – rather than career ladders. “This involves coming into a company and picking up experience across a lot of sectors, rather than just one specialized function. Taking laterals assignments to add to their tool kits is a great way to encourage more female executive leadership. 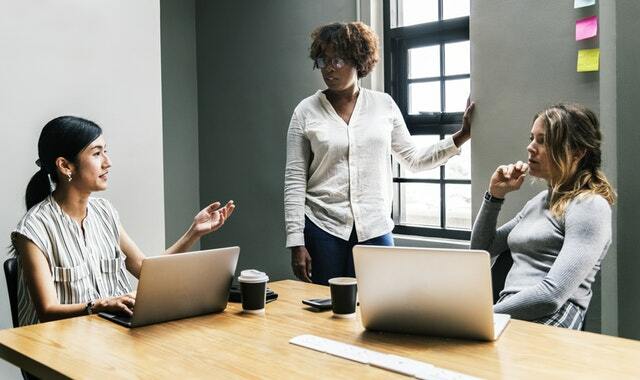 Author adminPosted on December 31, 2018 December 31, 2018 Categories Daily DigestLeave a comment on How can HR encourage more female leaders? In this exclusive, Jerene Ang speaks to HR leaders from Scoot, TWG Tea, Arrow Electronics and YITU to derive best practices for each stage of talent management. HR’s key role is to manage the process across the employee life cycle – from recruitment and onboarding to performance management and career development. In this feature, we speak to organisations that have successfully optimised each aspect of talent management. In October 2015, Scoot launched its first “live” cadet pilot recruitment campaign, which helped it clinch silver for the Best Recruitment Advertising Strategy at the Asia Recruitment Awards 2016. Back then, the low-cost carrier had not merged with Tigerair. Faced with stiff competition from other airlines, what Scoot needed was a recruitment strategy that was aggressive, fast and low cost. Hence, it came up with the idea of a unique “live” Q&A session on Twitter, allowing it to engage as many potential candidates as possible on its cadet pilot recruitment process. Fast-forward two years, with the merger with Tigerair and an increase in the network, Scoot needed to focus on long-term strategies. This included forming a set of common and meaningful values for the expanded workforce. “Both management and employees were brought in to define these values, which today are ‘different’, ‘open’, ‘empowered’, ‘rewarding’ and ‘safe’. These values helped shape our recruitment strategy in terms of who we look to hire and to refresh our employer branding.” A focus was then placed on the employee experience, with the first step to conduct an employer brand study. When luxury tea brand TWG Tea started to expand, it needed something that could bring all its teams together – the front of house (staff in the shop) as well as the people in the office. One of the key challenges TWG Tea faced when making the brand experience workshop an obligatory programme for all staff was getting managers to really follow the process. To stay true to its employee value proposition of a fast-paced, performance-driven culture, at L’Oréal Singapore, a minimum of two mandatory performance conversations are carried out in a year. Each conversation focuses on a different area – performance in role, and job mastery. This creates conditions where transparent development and performance conversations go hand-in-hand, explains Atul Gaur, human resources director at L’Oréal Singapore, adding: “Our differentiation between performance and job mastery is key to our development principle, especially as we provide diverse experiences to our people across different functions and divisions. Separating job mastery from performance allows the French personal care company to still focus on its people’s performance while they master their new roles. Thus, allowing them to continue taking bets on employees for new and stretching roles without any prior experience, true to L’Oréal’s entrepreneurial spirit. At the same time, L’Oréal understands that performance and development is a more dynamic subject than just two conversations a year. Being an entrepreneurial organisation that values freedom-based management, coupled with performance accountability, the company encourages open talk and direct feedback – both between managers and employees, as well as between colleagues. American Fortune 500 company Arrow Electronics places significant focus on creating an environment that fosters employee engagement at all levels. One way it does so is through offering challenging and rewarding career opportunities for individuals from all backgrounds. This is done through its comprehensive talent movement programme that provides staff with internal career progression opportunities and broadens their exposure to the business. Apart from that, staff also have the opportunity to take on expanded roles, from assuming greater responsibilities to coverage of a wider geographical or functional scope to prepare them for future progression roles. These help facilitate knowledge transfer among employees and builds talent and succession pipelines. “This is important because employees are expecting their roles to evolve and progress rather than staying at the same role working on the same routine work over time. Companies need to offer them opportunities to grow as they want to.” Employees are also empowered to take charge of their career growth and development by partnering with their managers and HR. Apart from the talent movement programmes, the company has a range of T&D programmes for every level. Programmes for people managers include “management essentials”, a global training designed to help people managers learn and apply practical leadership skills to maximise performance, develop teams and retain talent. There’s also the Global Arrow Leadership Academy, also known as GALA. Catered towards executive-level talent, this programme is focused on driving Arrow’s transformation by building key capabilities across a global population via a combination of formal and informal learning, assessment, individual coaching and group action learning work. On top of that, Arrow invests in a nine-month APAC mentoring programme every year to build and accelerate its key talents’ succession readiness. Last year, the firm also launched its reverse mentoring programme where young Millennial management trainees are assigned to mentor executives. Chinese artificial intelligence research firm YITU believes in diversified development, that is, growing employees both professionally and personally. Louisa Zhang, human resources vice-president at YITU Technology, says: “Apart from providing technical and product trainings to deepen their technical expertise and skill sets, we coach employees on soft skills and provide them with people management opportunities to develop leadership qualities.” A key initiative that contributes towards grooming future leaders is the “AI Camp”. Conducted on a monthly basis for all new hires in a technical role, the programme’s curriculum is designed and conducted by YITU. Despite the programmes mentioned having worked so well for the respective companies, one shouldn’t be too quick to duplicate these experiences. Instead, programmes should be customised to your specific needs. 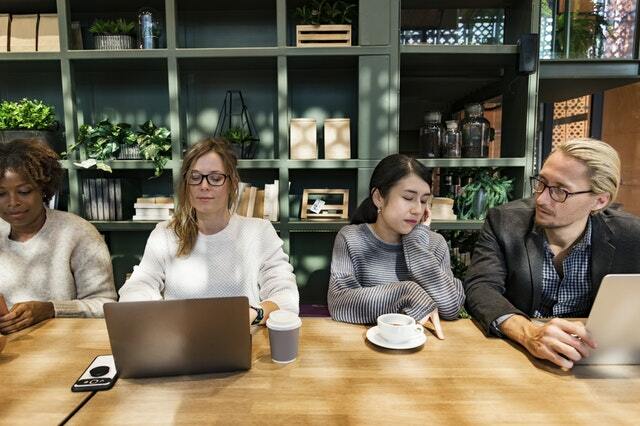 Underscoring the importance of this, Mitch Young, vice-president and general manager for Asia Pacific and Japan at ServiceNow, notes that moving forward, employees are going to drive the workspace evolution. 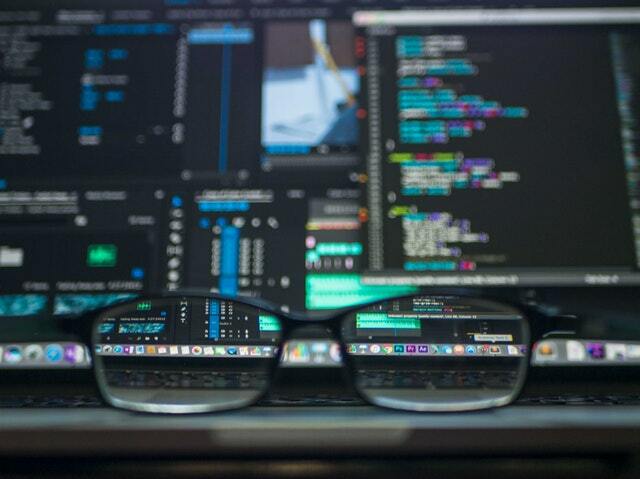 Rather than viewing technology as a force coming for jobs, 74% of the respondents in a new global Randstad Workmonitor survey said they see digitization as an opportunity. In fact, 59% said they expect automation, robotics and artificial intelligence to positively affect their job in the next five to 10 years. Eighty percent of respondents, representing at least 400 workers in each of 34 countries, want to acquire more digital skills to guarantee their future employability, Randstad said. And although 76% of respondents said their employers should provide them with this training, only 44% said their employers are doing so. Fifty-nine percent are, “to a certain extent,” investing in their own upskilling. Most (68%) said they believe that schools, colleges and universities provide students with the right kind of digital skills to prepare them for the future workforce. Both this most recent survey and other research show that employees are ready and willing to upskill, but often expect employers to make the investment. Businesses looking to remain competitive may need to take the initiative, incorporating relevant digital skills into training. But luckily for employers, the rewards may go beyond preparedness for the future of work. Another Randstad US report released earlier this year found that job satisfaction is driven by digitization and career development, so training opportunities may well boost talent acquisition and engagement efforts. With the war for talent heating up, cultivating a culture that supports career development will be a key differentiator, Beth Linderbaum, VP, principal consultant at Right Management previously told HR Dive. “Today’s employees know their value and their expectations are changing. They’re looking for organizations that invest in their growth,” she said, adding that businesses need a talent strategy that helps employees take ownership of their career while providing support, development and career pathing to keep them engaged. And many employers have already taken note. Career development is expected to lead total rewards growth in the next three to five years, according to a WorldatWork study from earlier this year. 1. What role does data and technology play in HR? All organizations today have become more data-driven. They have begun with sales departments looking for data science to gain an edge over their competitors. With the advent of the internet and big data, they have been able to track their success about their advertising and marketing efforts. This has changed the industry. Although the HR department has been trailing in this, the organizations are catching up quickly. I have, over the years, seen at many client conferences the discussions about how data science and machine learning can help HR. The challenge here is that unlike in sales, it is not as straightforward. Factors such as what people are doing every day at work, are they happy at work, what the organization looks like, all have to be analyzed. We have come a long way forward with insights about the workforce that managers need to make an impact. Today, it is every employee’s responsibility to ensure that there is cleaner data so that managers who need to leverage the results of the data can do so quickly. Additionally, people have always been skeptical about leveraging data science with the fear that jobs would be lost. With the realization that it is here not to replace anyone’s job but to give a direction about who and where organizations need to focus on, it has started garnering more interest. This is because when you expose your data to the management of an organization, it can lead to better results. 2. What are some of the technology trends that you see in HR? Earlier, technology solutions were treated as a necessary evil that was needed to keep everything in place but not as an innovation. But that trend has changed in recent years with organizations looking at these solutions for better usability. It has expanded from the behemoth HR system that only the HR practitioners had access to. Today, HR systems have to be more intelligent to provide recommendations through the HR system for HR practitioners, managers, and other employees regarding their job. This is where data is needed to feed into AI and machine learning regarding making suggestions based on profiles of people similar to you. Additionally, managers also need to have information about everything that happens within the organization such as are the employees happy, are they taking higher than expected absence, who is looking for a promotion because they have been in the same role more than others, and so on. The advent of the cloud has made it possible for them to access this information from wherever they might be. By incorporating AI and machine learning, they can receive suggestions that they can leverage while conversing with their employees to help their top employees stay in the company while helping others who need improvement. This is important because only if your employees are satisfied can you meet your goals. 3. Is there any methodology that can be followed while choosing the right partners? 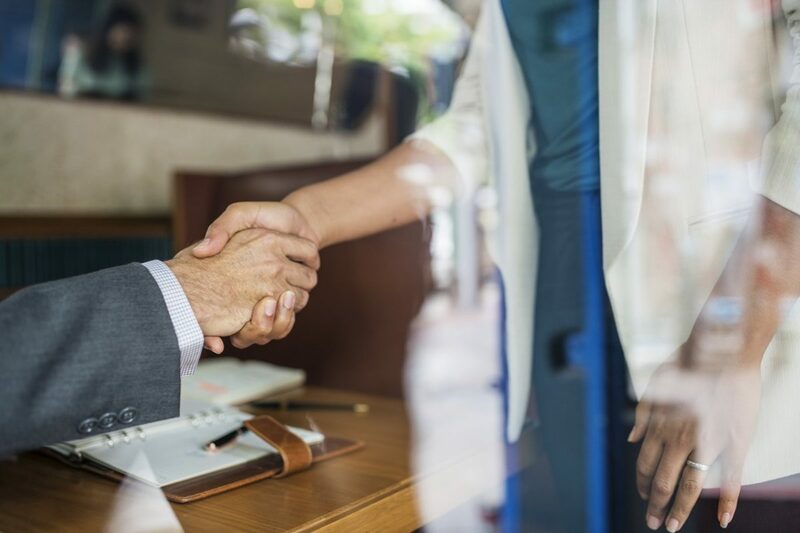 From a vendor perspective, it is vital to ensure that your partners have a proven track record from handling security issues to success stories. For anyone choosing a vendor, you need to know the different technologies that they use, the number of clients that they have, milestones about their own organizations’ growth, and so on. They need to have a clear vision and a direction instead of merely repeating to you what you are looking for. 4. 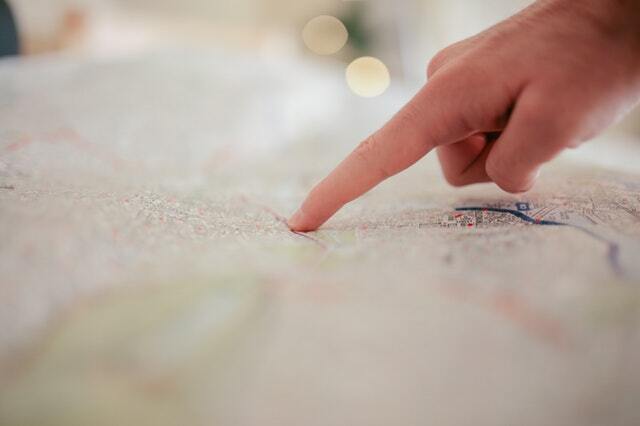 What are the strategic points that you go by to steer your company forward? We are trying to make sure that the managers know how their team is doing. This is important in the war for talent. There is a responsibility for an organization to provide fertile soil for an employee’s growth. Employees join an organization with the hope that the company would guide them through a manager who sees their talent and lets them use it on a daily basis. 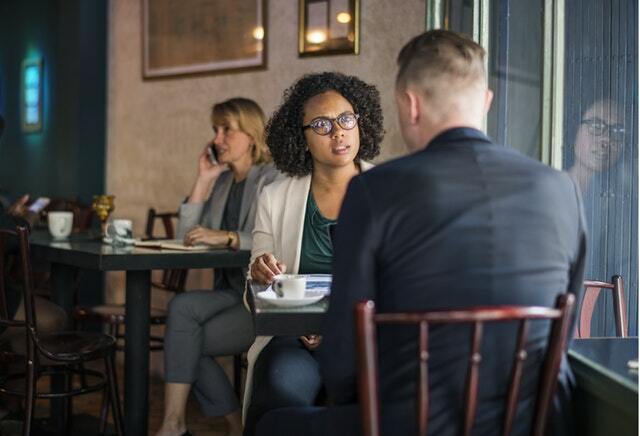 By being engaged, the employee would produce efficient results, and this is one of the critical goals of HR personnel—to find and keep the best talent for their organization. By leveraging data, the managers can help the employees grow while providing enhanced results to the organization. 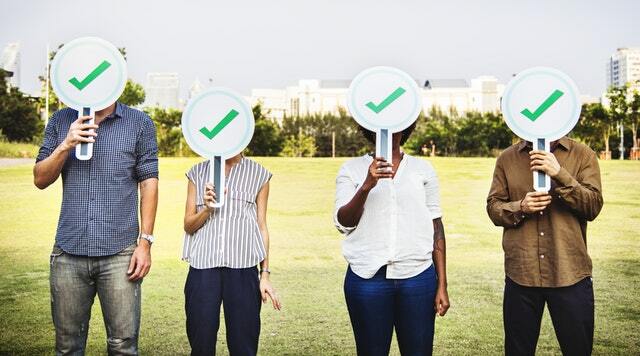 In a nutshell, this is what we do here at ADP—provide data-driven insights and direction to help organizations recognize and build better talent. 5. How would you envision the future within this arena? The most significant disruption would be a combination of the trends that I have already mentioned before. Cloud provides the ability for data to be everywhere all the time. The data collected through the cloud in the next 15 years would be the fuel for the development of ultimate intelligence. We, at ADP, are collecting data that is important such as how are employees getting bonuses, how engaged are they to an organization, what kind of organizations have the best employee engagement, and so on because they are very strategic points while looking at the future. The second disruption would be the openness brought about by open APIs. We already see many organizations embracing open API stacks such as RESTful API. By collecting data from a wide range of sources through open APIs, combined insights can be driven. This is all going to be available and open through open APIs. 6. Is there any piece of advice that you would like to give for companies in this space? Embrace, collect, and understand your data, and do not be afraid of it. There are ways to make sense of data that may not be the cleanest. Go out with a positive mindset to figure out such data. Large organizations should not swallow data. Collect all the different datasets such as sales data, service data, and so on and bring it together across your organization so that it can fuel intelligence for everything whether it is building a product or helping service a client. The key is to have all the data connected together. Despite a huge body of research into employee engagement, little has focused on team dynamics. A team at Ashridge Executive Education has identified four zones of employee engagement in teams, but how can organisations identify these zones and use this knowledge to boost productivity? Dr Amy Armstrong from Ashridge Executive Education estimates that there have been more than 2,000 pieces of research done on employee engagement. But despite such an extensive body of study on people’s happiness at work, only a tiny percentage has focused on teams and how their make-up impacts engagement. She has previously worked on research on engagement through the eyes of the CEO, but felt it was time to look at teams. “Most research focuses on engagement either at individual level – people’s tasks and roles – or at the organisation,” she explains. The result is Shades of Grey: An exploratory study of engagement in work teams, a study produced in conjunction with Engage for Success and Oracle. “What we found was that team engagement was far more nuanced and complex than simply whether people are engaged or disengaged,” she adds. Two key influencers of engagement emerged in the research: first, the team climate or atmosphere. “How do they talk to one another, is there a hierarchy?, is there some fun or is it frozen?” explains Dr Armstrong. The second factor was their behaviour, whether team members were proactive or reactive, for example. Having spent time with the companies in the study observing these team dynamics, the researchers also identified four “zones” of engagement: the zone of contentment (team members are happy but do the minimum required); the zone of pseudo-engagement (where team members give an impression of being engaged but this is more about furthering their own agenda); the zone of disengagement (they hate their work and feel unappreciated) and the zone of engagement (proactive, solution-focused and people feel trusted). Dr Armstrong and her team noted some interesting correlations, too. “We found that 21% of teams we looked at were in a state of complacency related to longevity of service. They were happy, but would go to work, do their job and then clock off. They were not interested in pushing themselves or their teams forward,” she says. Complacent teams can form a strong backbone in organisations, she adds, but are more suited to back-office functions rather than anywhere that innovation might be required. Some of the most engaged teams in the study experienced a fair amount of churn. Interestingly, these teams cropped up frequently in NHS and healthcare organisations, where there were high indicators of personal engagement (in looking after patients) but little evidence of pulling together as a team. “When we spoke to HR directors in these organisations they thought this could be linked to the reward system, which centres on individuals rather than teams. This sort of climate will perpetuate where you have individual targets,” she says. Ashridge has developed a team diagnostic to help teams work out what their prevalent zone is, and identify any outliers. “Then it’s up to leaders to have discussions with their teams to check everyone is in the right place. It might be the case that someone is new and therefore highly engaged, but that team dynamics change over time, for example,” adds Dr Armstrong. Given the huge volumes of research that have been produced on employee engagement, it’s perhaps surprising that the UK still lags behind other economies in terms of engagement and productivity. So why do we continue to get it wrong? “I think organisations still don’t really understand what engagement is,” she argues. “They rely on survey metrics that don’t give the whole story. Yes, they give HR something to bring to the conversation at board level but not necessarily reflecting the whole picture. Dr Armstrong also believes a prevailing culture of long hours, presenteeism and pressure to perform means employees in the UK simply don’t have a healthy relationship with work, which in turn impacts engagement. It also offers some practical words of advice for organisations looking to shift team behaviours. Those with teams in the zone of contentment, for example, should consider having honest conversations about employees’ potential to achieve more. They could also consider introducing new projects to tackle complacency. Where teams are disengaged, recruiting a team leader with emotional stability and strong people skills is crucial. Pseudo-engaged teams need more team-focused rewards and should be encouraged to see how interdependence produces results. surveyed more than 23,000 workers across a number of countries and was conducted by human capital management solutions company Globoforce and information technology company IBM. After analyzing the data, the EXI teams found that they could measure employees’ personal experiences at work in terms of belonging, purpose, achievement, happiness and vigor. Stevens said companies will only succeed if they acknowledge the core needs and experiences of the humans that work there. “Experience is no longer a nice-to-have, but an imperative in today’s increasingly competitive markets,” Stevens said. The study found that if employees aren’t feeling appreciated, only 38 percent report having a positive experience. Further, when employees don’t feel their work lines up with their core values, only 30 percent report having a positive experience. Organizations that scored in the top 25 percent on employee experience report seeing nearly three times the return on assets and more than two times the return on sales, compared to organizations in the bottom quartile, according to the study. Cheryl Allen, vice president of human resources at Kaplan Professional, an education services company, agrees that creating a positive employee environment has a financial impact. Stevens said the responsibility to ensure employees feel happy and valued falls on senior leaders. In addition to creating a clear picture to show where an organization is headed, leaders should demonstrate and actively show the importance employees have on the success of a company. Stevens said having open communication between managers and employees is vital. t’s that time of the year where employees look forward to year-end bonuses and your organisation’s goal-setting is rolled out for the following year. If you’re in the middle of planning these, you may want to consider the effects they may have on your employees’ behaviour. 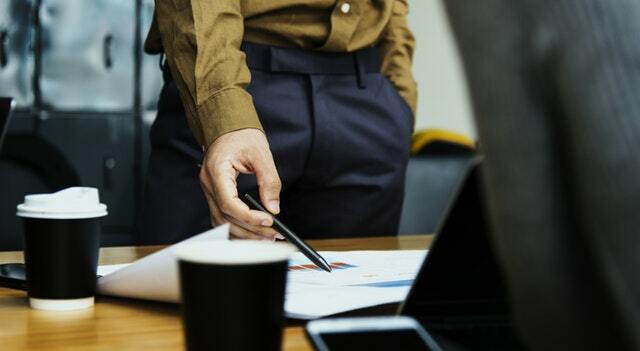 According to a new study done in the United States, while these incentive rewards can motivate and increase employee performance, they can also lead to unethical behaviour in the workplace. The study, titled ‘The effects of goals and pay structure on managerial reporting dishonesty’, analysed the relationship between pay structures and motivation. Researchers placed 160 business school students from a large Midwestern university in the United States, through four different cost reporting environment simulation sessions of approximately 45 minutes. In each simulation researchers manipulated the presence of a specific cost goal (specific goal vs. no specific goal) and type of wage contract (flat-wage contract vs. incentive contract). Findings suggested that having cost goals decreases dishonesty when managers are paid a flat wage and increases dishonesty when managers are paid a bonus for hitting certain targets. The research also witnessed the tendency of a “slippery step” effect, where dishonest behavior becomes increasingly worse once managers have crossed a certain threshold of dishonesty. They further noted that while the competing tensions were relatively balanced in the beginning, at some point during the simulation, it shifted toward reward seeking behaviour. In terms of the practical implications of the study, the researchers pointed out: “In an opaque environment where managers have private information, organisations using goals need to consider not only how adding an incentive pay structure may lead to increased effort but also how it might lead to increased dishonesty. The study also suggested that organisations should consider using goals and incentive schemes wisely to make that first step high enough to deter the type of morally disengaged reasoning that might lead to the next – seemingly easier – steps. The war for talent is fiercer than ever—but even an economic slowdown predicted in the next few years won’t give employers back all the power. “Even if there is an economic adjustment or a recession, I think a lot of the overall changes in the balance of power between employees and employers are here to stay,” says Kathryn Minshew, founder and CEO of The Muse. Minshew, who was referring to employee expectations of greater convenience, among other changes in the employee-employer relationship, spoke at Fortune‘s Most Powerful Women Next Gen Summit in Laguna Niguel, Calif., on Wednesday, alongside Ghazal Asif, vice president of worldwide channels at AppDynamics; Maryanne Caughey, head of talent at Gusto; and moderator Claire Zillman of Fortune. At Gusto, employees compete to provide the most successful referrals in a competition called “Gusto’s Got Talent”—and the company sees higher retention at its Denver offices than in San Francisco. At AppDynamics, the former startup faces a challenge recruiting the kind of entrepreneurial talent that flocked to the company in its early days but has been more reluctant to join the organization after its acquisition by Cisco. “The needs of businesses are changing faster than the skills and experience of the workforce,” Asif says. True learning isn’t based on memorizing facts and information—it’s a journey filled with trial and error. The foundation of this journey is built with design tools that deliver accessible, quality training every step of the way. Learning and development professionals can feel empowered when they have the right tools available to them and be able to build exactly what their training needs, so their learners can succeed. There is a growing demand for online training and an even greater need for quality custom corporate training. To deliver what your learners need, you must know what your capabilities are and how far those capabilities will take you. Finding the right balance between technological capabilities and content delivery creates unique ways to deliver training to your learners. When starting a plan to create training, ask yourself two things: What do I want the trainees to learn; and how am I going to make the training stand out? Learner fatigue is a real challenge for L&D professionals, and one of the best ways to encourage learner participation is to provide a fresh take that encourages active participation. Utilizing the right technology helps the designer find the right balance between the content and the learner. There are many considerations to determining the right the technology. L&D professionals must take into account how up to date the design features are, how actively supported the system is, and just what kind of cost it takes to manage their design tools. Technological limitations can negatively affect employee performance and may set back training to familiar/forgettable methods. By engaging with your design tools, you can find the best method to deliver quality training and make necessary changes/improvements to your training. Once the training has been determined and the right resources have been chosen, an L&D professional benefits by pushing their technology in unique and challenging ways. Understanding the full breadth of their technological capabilities encourages the designers to be more creative, which creates more memorable training. This is also an opportunity to recognize limitations, and to find better methods of content delivery. At the end of any development cycle, an L&D professional can revise and change their content to improve the design flow and quality of their training. With access to the right development tools, this process can be expedited to make necessary improvements when the need arises. Content evaluation is an important aspect of design and being able to implement the right changes as quickly as possible ensures that the training is delivered when it is needed. With the right courseware tools and LMS, these changes can be applied instantaneously, adding an additional layer of confidence for the L&D team. When L&D professionals are confident in their capabilities, they can build quality courses. By knowing your capabilities, where to exceed your limitations and surpass your expectations. Having the flexibility to adapt a design to reflect immediate changes not only makes for a better user experience, but also makes for a stronger L&D team.